I haven’t had the heart, energy, or time to read through the #CancelColbert tweets. From the resulting hullabaloo, it seems that on the whole, Suey Park’s intentions were completely missed. Also importantly missed was, you know, the whole genocide/ disenfranchisement/ misrepresentation of Native peoples thing, AND Colbert’s original gross display of anti-Asian racism, not just the “offending” Comedy Central tweet. That said, I had the same reaction to #CancelColbert as I did last winter when I scanned the #NotYourAsianSidekick tweets. Thousands of young APIA women and allies were connecting virtually. My ambivalence about hashtag activism is that, while it has the power to inspire and incite action, it remains the internet activist’s answer to ironic or hipster racism. And, like almost everything about hipsters, it meanders. It goes nowhere and looks cool doing it. Even if you have no expectation that a trending topic is the sole means of making change, the pundits and liberals and media makers will find a way to distort our voices. There is no widespread political consciousness among most Asian Americans (because of assimilation and depoliticization) to even understand our position in society, much less how we find ourselves here. Here being the moment where white liberals like Colbert can say the most racist, Orientalist things about Asian people and an entire audience will laugh hysterically and even defend, in that post-racist liberal way, that it’s satire. 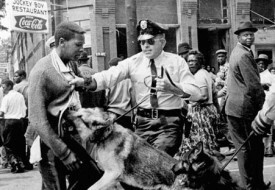 When APIAs who are not connected to organizing movements and without a broader framework of social justice speak out, we run the risk of the me-first activism Jeff Yang cautions against instead of an activism of solidarity, i.e. we should be completely outraged by the Redskins’ owner’s racist mockery of legitimate demands to change the team’s name. What also happens is that APIA voices are co-opted by everyone left and right, be it other people of color who want to cry so-called #AsianPrivilege instead of examining the history and power structure that pit People Of Color against each other, or colonial puppets like Michelle Malkin to push their own, or rather, white supremacist, agendas. A quick trip through time: I participated in the Abercrombie & Fitch protests in 2002; I wrote letters to Marie Claire for its Orientalist fashions as a teenager in 1996; SNL has used blackface and yellowface for almost 3 decades; MADD TV has made millions laugh with the Ms. Swan sketch for years; Anjelah Johnson’s rise to comedic popularity is thanks to her mockery of Vietnamese nail salon workers; the entire first half of Season 3 of the show Archer depends upon racist depictions of Asians; and the list goes on. It’s not new. The only way to make it old, however, is to have a holistic approach grounded in organizing towards specific goals and a broader and deeper vision of social justice. Otherwise, all we as APIAs can do is react to dangerous and foolish misrepresentations of our fathers, mothers, sisters, grandparents, kin, neighbors, and friends and expend all our energy and resources in the process. Organizing has a direct impact on changing the conditions of peoples’ lives. The disconnect between real life and corporate media representations that Twitter activists are reacting to are rooted in the systems of oppression that these groups are organizing against. We know that APIAs are the fastest growing poor in the United States, despite the near-instinctual ideology of the model minority myth. We know that this is hard to address because APIA, or Asian American, Pacific Islander, Native Hawaiian poverty is spread out and isolated from the largest concentrations of APIAs. We know APIA poor are spread out by housing–so doesn’t it make sense to join the fight for economic justice, fair housing, and against gentrification and displacement? Ethnic studies, which interrupts the erasure of our histories, contributions, and state-sanctioned oppression from school and the media, is being pushed out as a symptom of increased privatization and regulation of the education, i.e. pro-charter, militarization of our schools, more funding in incarcerating and detaining young people than in our schools–doesn’t it make sense that we should fight for an educational system for all our children? If we know that the model minority myth obscures our realities because APIAs and rich Asian immigrants (exchange students whose parents can pay for visas or the technology elite) are lumped together to inflate these perceptions–doesn’t it make sense to join the fight for just immigration and economic policies that don’t just favor and protect the rich and highly educated? Cultural appropriation and two-dimensional caricatures of APIAs, including Stephen Colbert’s yellowface character, promote and excuse racist violence, whether in cases like Vincent Chin in 1982, Bang Mai in Boston in 2004, Du Doan in 2007, or men who want to fulfill their fantasies of Western masculinity by enacting violence against Asian women in the U.S. or on its military bases. The impulse to react to piecemeal instances of media violence is compelling–and I do this myself on this very blog–we have a right to be angry, disgusted, and that feeling of disempowerment begs some form of taking our power back. But, the inevitability of these racist misrepresentations (intentional or not) is about systems of power and inequality. In a media environment where 6 corporations own 90% of American media it is clear who has power and what kind of sweeping change needs to happen. P.S. Stephen Colbert Fact of the Day: Did you know both opium AND syphilis were introduced to China by White European and American drug smugglers and johns in Guangdong? Publish articles and reports focusing on APIA poverty. We know that Southeast Asians don’t fare as well economically as East Asians (and Native Hawaiians tend to be stuck in poverty as indigenous populations are often marginalized by the colonizing group) but it would be useful to have some stats. For example, are Korean Americans, Japanese Americans and Chinese Americans (generally the groups whom are often seen as the most educated and higher wage earning) continuing to earn higher wages than Vietnamese Americans, Cambodian Americans, Laotian Americans, etc. or is unemployment starting to rise among these more “successful” ethnic groups? 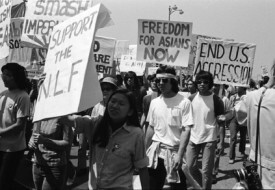 A series of articles focusing on APIA poverty would be a powerful way of dispelling the model minority myth.